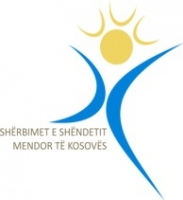 ZYRA PER SHENDET MENDOR (Mental Health Center) in Prizren is organisationally part of the Hospital and University Clinical Service of Kosovo. The Mental Health Services in Prizren operate the following units: Mental Health Center Based in Community, Integration House, and Child and Adolescent Psychiatry. The multidisciplinary team consists of psychiatrists, psychologists, psychosocial counsellors, social workers, and nurses. The Mental Health Center based in the community in Prizren provides services and activities such as psychiatric visits, psychologist visits, home visits, day staying in centre, individual therapy, group therapy, occupational therapy, family therapy, psychotherapy, counselling, and social support. The profile of patients is patients with psychotic disorders, depression, anxiety, etc. Approximately 500 clients monthly are in the care of the centre. The professional clinical psychologists and psychiatrists who currently provide talking therapies in CMHCs will receive training on delivering iCBT as well as have ongoing support through an awareness website, www.ifightdepression.com. The same website (portal) will be accessible to carers for support. behavioural therapy, CBT; www.tool.ifightdepression.com) will also be incorporated in the services. The iCBT solution will be embedded as part of the usual treatment for depression in CMHCs in Kosovo. Four major centres of Community mental health will be involved in the study. They are situated in the biggest towns of Kosovo and are spread out geographically covering most of Kosovo. These centres are in Prishtine, Prizren, Mitrovice, and Gjilan. Each of these centres has 1 psychiatrist and 1-2 psychologists and cover a population of 542,000 inhabitants. The centre leads have been contacted and have expressed their interest and commitment to participate in the study. Faculty of Economy. Many years of work as administrative/financial officer in Mental Health Centre Prizren. 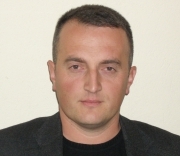 MD, Psychiatrist and Director of the Mental Health Centre in Prizren. Also doctor of science in Psychology. Presented research at several internationally psychiatric congresses: EPA (Vienna, Munich, Nice, Prague), IACAPAP (Paris), ESCAP (Budapest,Helsinki, Dublin). Published several papers in journals. The first expertise in the implementation of e-Health is the ImpleMentAll project. Clinical psychologist. PhD student of Gifted and Talented program. Presented researches at several internationally conferences and congresses. Published one paper as first author in journals. The first expertise in the implementation of e-Health is ImpleMentAll Project.